The World Intellectual Property Organization committee on trademarks concluded early today with plans for further work and a full week session for the next meeting. Member states are called into action to provide inputs so that the WIPO secretariat can come up with questionnaires on the protection of new technological designs, such as icons, and on the protection of geographical indications. Another issue for which member states are asked to contribute inputs in how to protect country and geographical names. The 39th session of the Standing Committee on Trademark, Industrial Designs and Geographical Indications (SCT) met from 23-26 April. It closed early today, with general satisfaction expressed my member states on progress achieved this week. The three main issues addressed by SCT members at the 39th session were how to protect: new technological designs under current industrial design law; country and geographical names against unlawful trademarks and on the internet; and geographical indications. On graphical user interface (GUI), icon and type face/type font designs, referred to as new technological designs, the SCT decided to ask member states, intergovernmental IP organisations with observer status, and accredited NGOs to submit further inputs. This includes detailed questions concerning two particular topics: the requirement for a link between those new technological designs and the article or product; and the methods allowed by offices for the representation of animated designs, as explained in the summary of the SCT Chair [pdf], Adil El Malika from Morocco. The WIPO secretariat has committed to issue the invitation for further inputs no later than 15 June, and the deadline for submission has been established on 20 August. The WIPO secretariat is expected to prepare a draft questionnaire on the basis of inputs for consideration of the next session of the SCT, from 12-16 November. This week the SCT considered a document [pdf] compiling proposals by member states and accredited non-governmental organisations on further work to be conducted on the protection of those new technological designs. Proposal 3 focuses on question such as whether a GUI and/or icon can be patented/registered independently of the product that incorporates it or in relation to which it is to be used. Proposal 9 is about the requirements for a connection between graphical user interfaces and physical products for protection of GUIs by design rights, and for their depiction in applications, and proposal 10 relates to methods allowed for representation of animated GUIs. On 24 April, an information session was held on examination practices regarding trademarks consisting of or containing country names. Several officials [pdf] from national and regional IP offices and lawyers presented ways in which their offices deal with the registration of trademarks including a country or geographical name. The issue of nicknames, historical names or local appellations for a given country was discussed, and the difficulty for trademark examiners to be aware of all those declinations of a country name. Denis Bohoussou, director general of the African Intellectual Property Organization, gave the example of Côte d’Ivoire, which might be also called in Africa the ‘land of elephants’. Examiners need cultural knowledge about African countries, he said, as there is no official documentation per se. He also underlined the challenge of transliteration from indigenous languages. Some speakers underlined the fact that internet searches have facilitated the work of the examiners, but Isabelle Tan, director of the Registry of Trade Marks at the Intellectual Property Office of Singapore (IPOS), remarked that all forms of a country names can hardly be found on the internet and continuous training of examiners is important. Amy Cotton, senior counsel in the United States Patent and Trademark Office’s Office of Policy and International Affairs (OPIA), remarked on the difficulty to evaluate the primary significance of a country or a geographical name for consumers. Some IP offices use database for prior art searches, with some other offices do not limit the scope of search for their examiners, speakers said. According to Óscar Mondéjar, head of the Legal Practice Service of the European Union Intellectual Property Office (EUIPO), the European Union system relies on consumer perception. For example, he said, chances are that the average European consumer will not be aware of the names of regions in Chile or Azerbaijan. Carolina Belmar, director of trademarks, geographical indications and appellations of origin at the National Institute of Industrial Property (INAPI) of Chile, said since 1991 Chile has adopted a specific prohibition on the trademark of country names (state designation). State designation covers country names and all other descriptions, she said, adding that the issue is how and where to get the relevant information. The SCT agreed to hold further discussions on the issue of the protection of country names at the next session. Following the workplan agreed upon during the WIPO General Assembly in October 2017 on how the SCT should pursue its work on geographical indications, the WIPO secretariat issued a compilation [pdf] of a list of questions proposed by members and intergovernmental IP organisations with observer status at WIPO. The questions were to form the basis of a questionnaire, and were focused on the following topics: the basis for GI protection, the application and registration procedure, the scope of protection, and the use/misuse of GIs, country names and geographical terms on the internet and in the domain name system. Some 214 questions were compiled by the WIPO secretariat, some of them overlapping. On 25 April, closed discussions between member states allowed the 214 questions to be reduced to 109 [pdf]. As explained by Chair El Maliki in plenary session, the questions have been divided into two categories, which will result in two questionnaires. The first one will deal with national and regional systems that can provide “a certain protection to geographical indications,” and the second on the use or misuse of geographical indications, country names and geographical terms on the internet and in the domain name system. Answers to both questionnaires are expected by 10 September, so the WIPO secretariat can issue by 15 October a document compiling responses for consideration at the next session of the SCT. No discussions took place this week on a potential industrial design treaty. Some member states indicated that they did not wish to open discussion on the two last issues to be resolved in the text: an article on technical assistance, and a provision entitling countries to request a disclosure of the origin of the design, if they so wish. Further discussions of those issue are expected to take place at the next WIPO General Assembly in late September. After a proposal by Moldova, the SCT agreed that a five-day session will be organised in November in place of the usual four days to allow the coverage of the agenda. 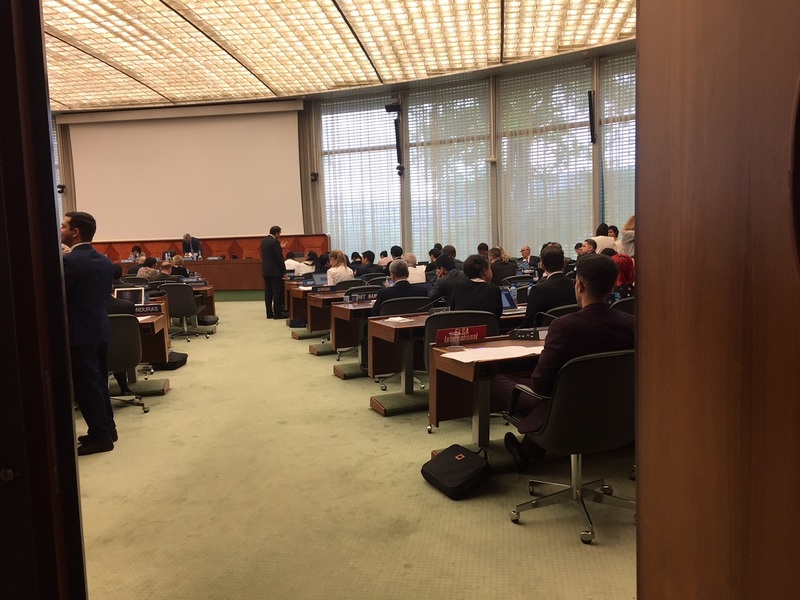 "WIPO Members Energised On Protection of Country Names, GIs, New Technological Designs" by Intellectual Property Watch is licensed under a Creative Commons Attribution-NonCommercial-ShareAlike 4.0 International License.